When Can You Take Shakeology while Breastfeeding or During Pregnancy? Many women take Shakeology while breastfeeding, or during pregnancy as this healthier meal replacement shake. 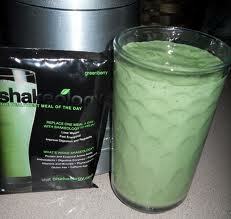 The shake provides complete nutrition and weight loss without harming the body. However, there is it safe and healthy for a woman medically? Before you jump to the conclusion, note that you should consult your OB/Gyn before taking on the any replacement drink or supplement, just to be sure. Without a doubt, Shakeology is a great meal replacement shake with more than 70 nutrients and Superfoods; however, you cannot replace the power of the meals by skipping them for Shakeology for a prolonged time. With that being said, here is a little about Shakeology and Breastfeeding and taking it during pregnancy. How can Shakeology Help Nursing Women? One of the major concerns for women is losing the pregnancy weight, but as they are nursing, they cannot take on dieting all of a sudden. Exercise is essential in shedding the pregnancy and post-pregnancy weight, but taking care of the diet with Shakeology and taking the right nutrition will help. Unless the mom has sensitivity or allergy to any other ingredient in Shakeology, it is safe to take while breastfeeding. Those who have gluten allergies can easily take this meal replacement drink, as it is gluten free. As Shakeology is an enriched formula containing antioxidants, enzymes, prebiotics, protein, fiber, phyto-nutrients and many rare ingredients, it overpowers an ordinary diet. Fiber is good for moms who are breastfeeding, and is also great for managing calorie intake. Note: you should be aware of the fact that “whey” protein ingredient is taken from milk so that could cause an issue in an infant. During pregnancy, you need to be careful about some herbs and since Shakeology is an herb mix. You need to be sure that you are not allergic to any of them. Drinking Shakeology while you are pregnant is safe, if you know about the safety of herbs. Moreover, since Shakeology already has 70 nutrients, you need to consult your doctors for taking on other multivitamins and supplemental medication. Some of the pregnant women also found Shakeology to satisfy their cravings, while giving them increased levels of energy. Make sure your keep a check with your doctor while taking on the supplements and health replacements. According to the Team Beachbody message board, here are some of the reviews regarding Shakeology Breastfeeding concerns. 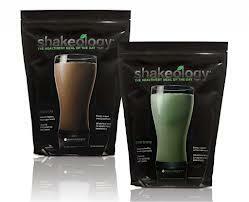 Taking Shakeology is a debatable health topic in pregnant women or nursing mothers. It is safe to say that, as Shakeology is made from ingredients that are not contraindicated for pregnancy or breastfeeding, you can easily take Shakeology every day. Nevertheless, be sure that you get the medical advice from your doctor while taking charge of your own and your baby’s health.